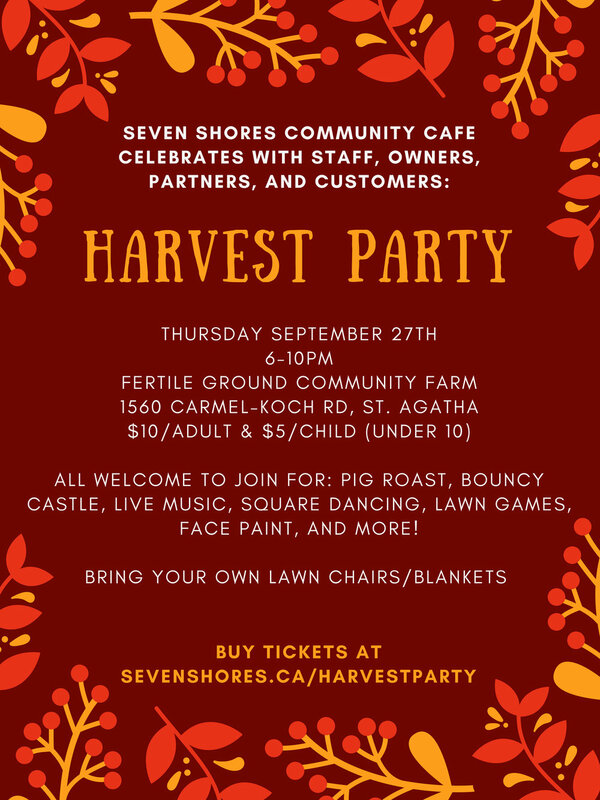 Come celebrate the harvest with Seven Shores Community cafe at Fertile Ground Farm in St Agatha. We want to celebrate with our staff, owners, partners, and amazing customers. It is because of each of you that Seven Shores Cafe is able to be what it is - a community. Join us for a pig roast, dinner, bouncy castle, live music, square dancing, lawn games, face paint, and MORE! Tickets are $10/adult and $5 child (under 10).